Happy Monday!! Hope everyone had a wonderful weekend, and was able to kick back and relax. I found myself able to do a lot of crafting which was nice, but also had to do the usual " this and that" around my house. 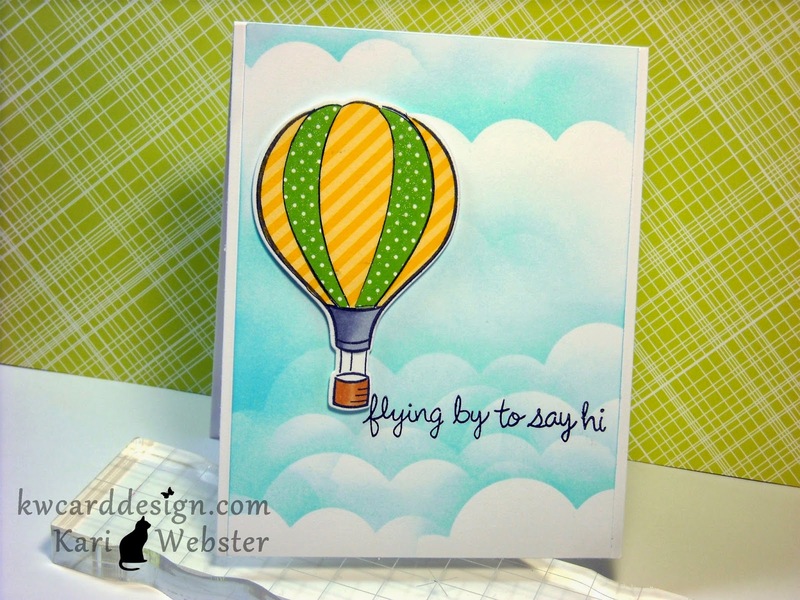 Today - I thought I would share with you one of a few creations I have made with the Simon Says Stamp April 2014 Card Kit. I made a few cards, but this one was my favorite out of all of them that I made. I did take a beginning point of my card design from Jennifer McGuire in THIS video. 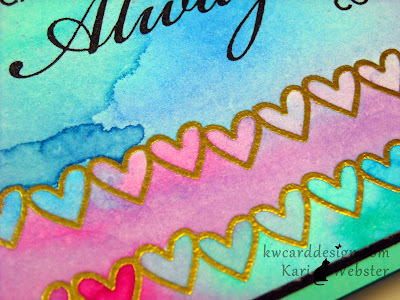 She used the same sentiment and stamped it several times as a background, and I just loved that. I did of course alter the rest of the design to make it my own. 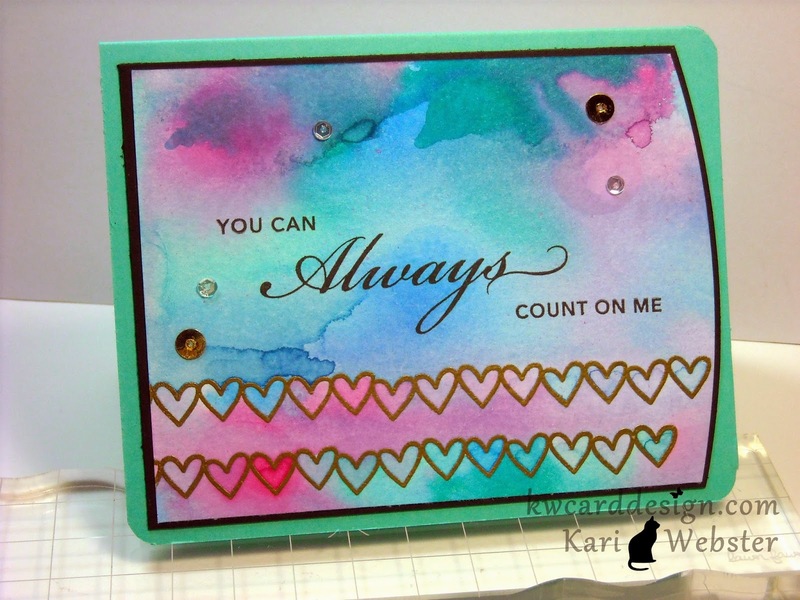 I took the mini sun burst stencil from The Crafter's Workshop ( I recently got this stencil in my last haul featured on my YT Channel) and I inked up using a sponge dauber some Morocco Memento Luxe Pigment Ink. I love this stencil and the effect it gives. I used my staples when I make a card it seems anymore the Femme Frames from Mama Elephant, and die cut the stamped/stenciled panel, and also a piece of black card stock. 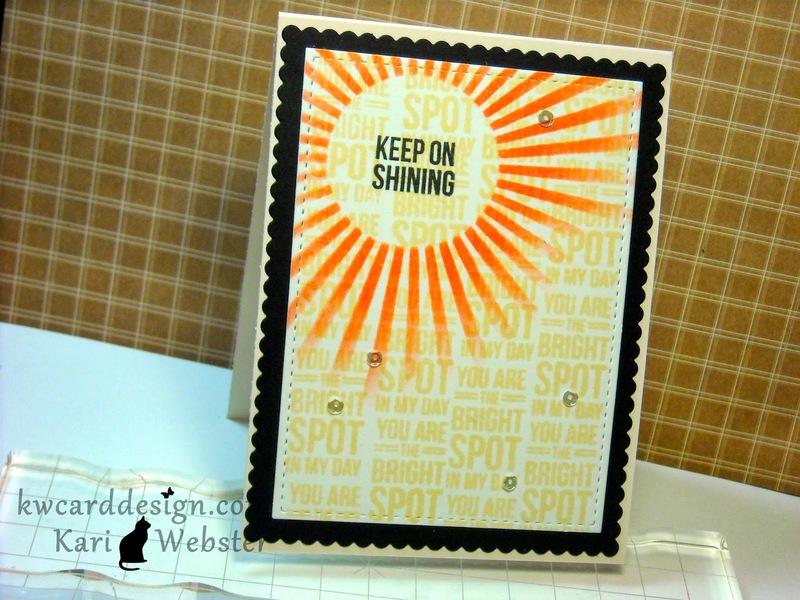 I finished up the card by stamping in Onyx Black ink the "Keep on Shining" sentiment in the middle of my sun burst, and for a final touch, I just love these 4 mm sequins from Pretty Pink Posh. Hope you were able to pick up this card kit! It is so much fun! For all the supplies used, I've linked them below! Enjoy your day! Happy Sunday everyone! It is a gorgeous day here in the Ozarks ( South Central Missouri). It is suppose to reach 70 degrees today! I will find myself in the sun sometime over the course of the day :) Today I am starting a weekly (or so I hope) series that will accompany by a how-to video called Inspiration Sunday. I had a hard time coming up with a good name - so that is what I came up with at this point. It may change ( and knowing me it will) but for now that is what I am going with! 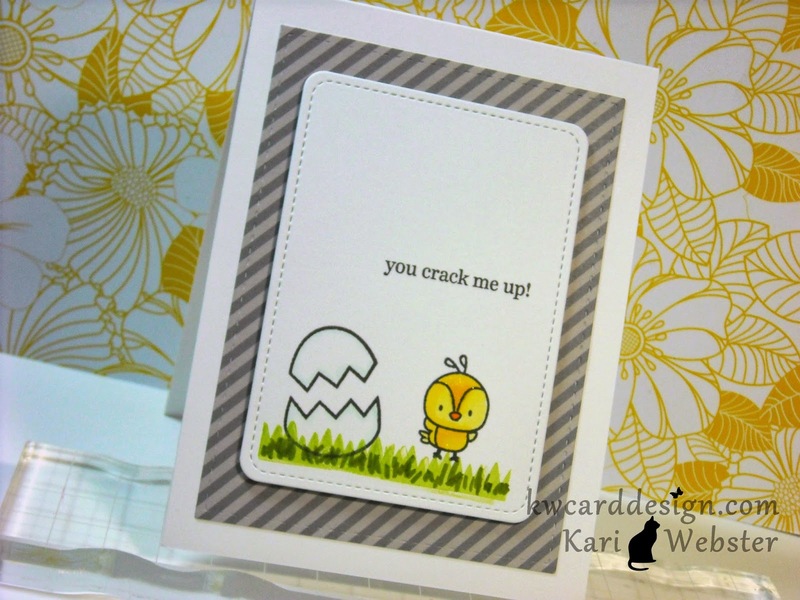 In my first installment - today's card features products from Lawn Fawn, Mama Elephant, and some Distress Inking. Here is the card I made along with the video on how I made it. 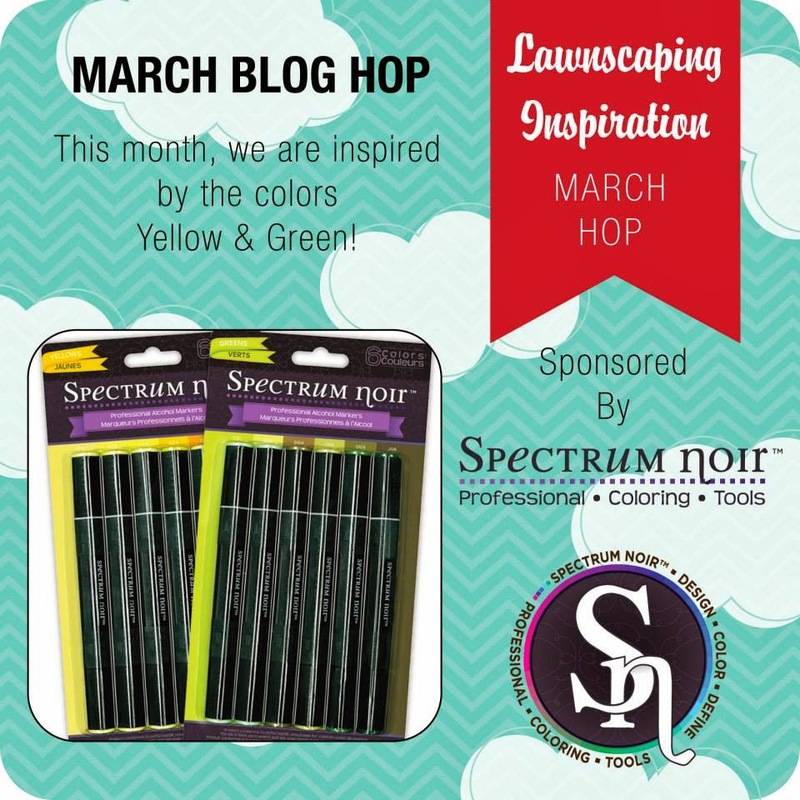 Hello, Hello, and welcome to a fun blog hop with the Lawnscaping Inspiration Team! This fun blog hop is sponsored by the awesome folks at Spectrum Noir! This month's blog hop is inspired by the colors yellow and green :) Spring is here - or technically here, but for some, Winter wants to hang on, so these fun bright colors should help put you in the Spring time mood!! You should have found your way from the ever so awesome, Lizzy. I am sure she has given you some awesome inspiration to feast your eyes on! Here is the hop order in case you've gotten lost along the way! I used two Lawn Fawn sets - (1)Hello Sunshine using the sentiment 'Fly away with me', and (2) Blue Skies and I used the smallest balloon in the set. I, first prepped my card panel by die cutting it using one of the Femme Frames from Mama Elephant, and then I applied Tumbled Glass Distress Ink for my sky. Then, I die cut two pieces of white card stock and made a DIY stencil using the My Favorite Things Sun Ray die. I, then added some color to my embossing paste using the Mustard Seed Distress Marker, and I applied my stencil and applied the colored paste, and then added some sparkle using Judikins Iridescent Sparkle embossing powder. I set that aside to dry before I heat embossed it, and then I worked on my balloon. I stamped and die cut the smallest balloon, and colored it in using a couple of the green alcohol markers. 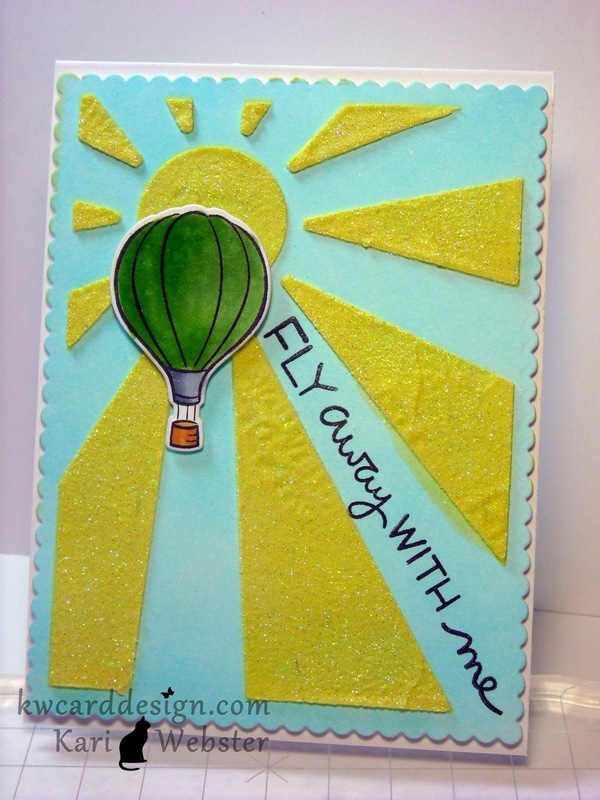 Once my embossing paste panel was dry, I heat embossed it for the embossing powder to shine and sparkle, and then I stamped my sentiment, and added my balloon using foam adhesive. Then, I mounted that onto a A2 size top folding white card base. Hope you are having fun on the hop so far! It is time for me to send you off to the super sweet Lenny!